17th consecutive win for Real over Badalona. 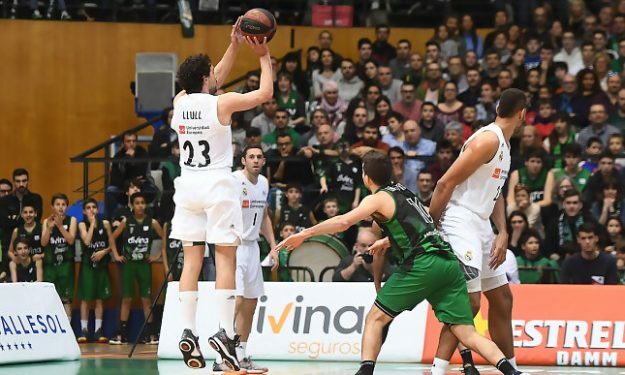 With four players scoring in double figures, Real Madrid beat Joventut Badalona 74 – 83 on the road and improved its Spanish ACB League record to 17 – 5. Rudy Fernandez dropped 14 points for Real en route to climbing at the seventh spot in the ACB list of players with most 3-pointers. Facu Campazzo scored 13 and Gabriel Deck posted 13 points plus seven rebounds. Sergio Llull had 11 points, six assists, and four boards. From Badalona, Nicolas Laprovittola finished with a double-double of 23 points and 10 assists. His team remained competitive for the majority of the game but rarely became threatening for Real that always kept a two-possession distance in the last 17 minutes. With the score 64 – 68 and four minutes to go, Real made a 5 – 11 partial score to pretty much secure the win. With this loss, Badalona dropped to 13 – 9 but remains within the playoffs zone.